A DIY kraft paper memo board by East Coast Creative. A homemade hanging jewelry organizer by the Blissful Bee. Just like that, the sun has set on lazy summer days. With crisp fall weather right around the corner, September has always been the perfect time to refresh and refocus both in life and at home, whether you're getting your children ready for their new classes or you're just a kid at heart acclimating once more to the swing of things. Here at Lonny, we're not immune. This season, we're casting off our carefree June-August decor and getting into the back-to-school spirit, finding useful ways to streamline our routine—and our design—with some help from our friends at Wayfair and Porch.com. 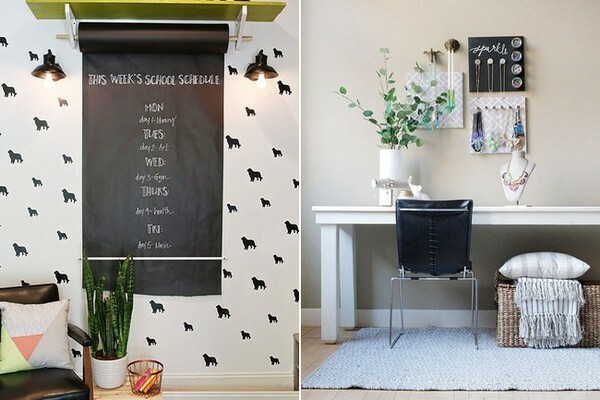 For their #Back2SchoolHacks challenge, the two mega-brands asked bloggers to get handy with their interiors, repurposing Wayfair products in ways that helped them stay organized or get inspired. For Texas-based designer and blogger Amy Walton, that meant creating a DIY jewelry organizer using an assortment of faux-taxidermy, brass knobs, and tin compartments against a graphic diamond-patterned backdrop fashioned from a shower curtain. 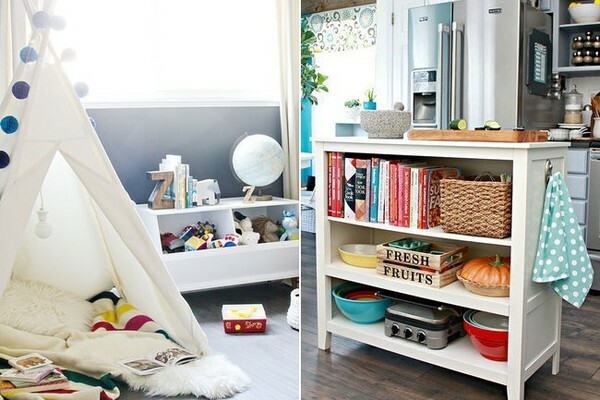 Mommy blogger Jess Kielman turned a kitchen island into an open-shelved sideboard in just a few easy steps. Click on the captions below each of these photos for all of the how-tos. 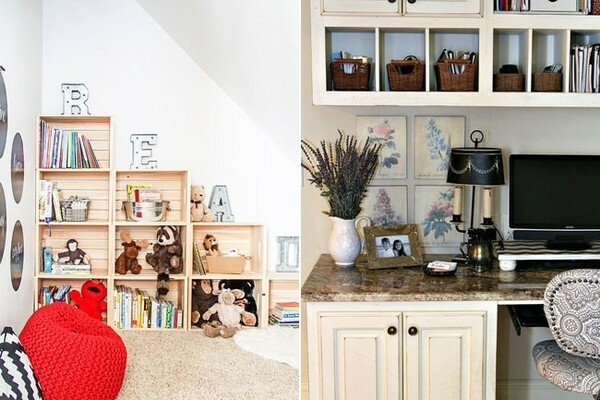 A Midcentury book-and-toy organizer by Brittany Makes. A kitchen island turned sideboard by Mom4Real. Want to get in on the fun? Follow Porch.com, Wayfair, and Lonny on Instagram, tag two friends in the comments section of the photos we post, and you'll be entered to win a $500 gift card to Wayfair and $500 towards a Porch Paint Professional. But hurry: the giveaway ends on September 13th, and a winner will be announced on September 14th. What are you waiting for? A reading playroom by Maison De Pax. A desk chair hack by Our Southern Home.